White supremacist and Australian senator Fraser Anning is a disgrace to the country. When most people were showing solidarity for the victims of the mass shooting in Christchurch, New Zealand, he all but pointed a finger at the victims themselves and blamed them for their own deaths. The idiot politician told the world he believed there was a "link between Muslim immigration and violence." In short, in his opinion, it wasn't white nationalism that was to blame, but the Muslims themselves — the people who were peacefully worshiping when they were gunned down. This isn't the first time Mr. Anning showed his true colors. In his first speech to Parliament last year, he used the phrase "final solution" when discussing ways to cut down on immigration and took special care to single out Muslim immigration as a particular problem. For Anning, Muslims and other immigrants are ruining Australia and causing what he calls "Cultural Marxism." Australia is a nation of immigrants, whether from Europe, Asia, the Middle East or other places around the globe. The "typical" Australian no longer exists, and the country is far better off because of it. People like Anning bring shame to the nation and promote a dangerous ideology that promotes hate and violence against people who don't fit the traditional model of what it means to be an Aussie. They traffic in hate, lies, and scapegoatism and should be shunned, not allowed to have a voice in Australia's most important political body. Fraser doesn't deserve to be a senator. It's time to give this hate-monger the boot. 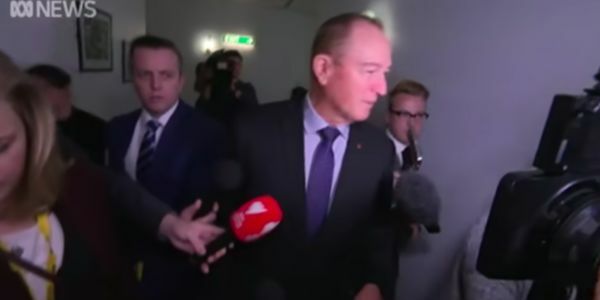 Sign the petition and ask that the Australian parliament force Senator Anning to resign.